SXSW the annual mixer of all thing tech, business, film and music — an eclectic collection of start ups, brands, media and commentators, hipsters, musicians, actors and film makers, and countries (yes, pop up embassies and such, like the Canada delegation who I always have a great time with). Part trade show, part conference, keynotes, controversy, promotions and parties. Spread out across the city making scheduling and choices difficult. Lots of noise. The New York Times has already raised questions about whether the popular tech gathering has grown too big. Jeremiah Owyang calls it a festival with purpose. Approach it with purpose, you’ll get through the noise and find what you want and need to continue to grow, professionally and for your business. Find the panels that matter to you and explore the technology and start-ups that make sense for your business — and for opening you to new perspectives and approaches. Don’t just go with the crowd. Cut your own path and explore things that are going to matter to you and your business as you look down the road. Ive always thought SXSW was a good way to actually start to think through some new approaches or the issues you want to make progress on down the road. The ones you are still thinking about or considering what the road map should look like going forward. SXSW is not just about the keynotes and the panels (and sometimes they can be spotty). It is about people and it is a great opportunity to finally meet IRL people you know online (love making online real offline too, is one of my old expressions). 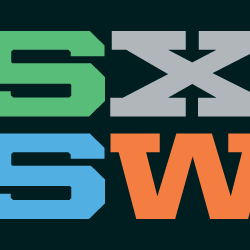 SXSW is a great place and time to connect with old friends and professional colleagues, catch up over a drink — serendipitously or by appointment. Meet new people and reacquaint with old friends. Im personally excited about the quality time I have set up with clients and long time friends, in between the parties and mayhem. If you want to meet up, let me know by commenting or contacting me. If it is your first time, be prepared for a lack of sleep, but get some. Be prepared for too much to do and understand it won’t all come together easily. You may need to “work it” :-). But I am sure you can! Support Charity Water and play a little poker too, hosted by Porter Novelli. If you are looking for some great Texas Barbeque, just a few blocks east on 6th street, dont miss La Barbeque. A personal favorite of Lionel and mine. New to the city and out of this world, Dolce Neve Gelato…its awesome. While Allhat is on respite, Guero’s is a favorite for Mexican food (for the Clinton’s too). Dont miss their natural Margarita. South Congress Cafe is another personal favorite. 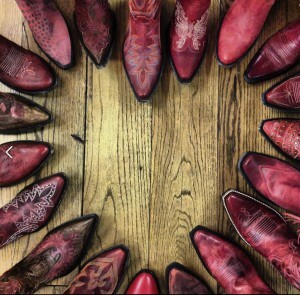 You are visiting Austin and Texas, how can you not at least gaze at the boots, hats, belts and shirts at my good friends at Allens Boots. Have a great time and hope to see you!!! Great post Richard… look forward to seeing you over the next couple of days.